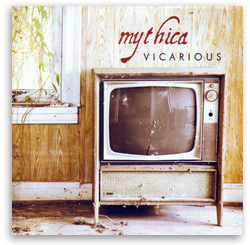 Get Melissa’s first 2 albums with Mythica at one low price! Click Here To Download BOTH of Melissa’s First Albums with Mythica for just $15.95! Remarkable, powerful, edgy,and sophisticated are just a few adjectives critics have used to describe the voice and music of Melissa Cox and her first band, Mythica. Running the gamut of styles and influences, Melissa and Mythica’s debut albums Dangerous Little Monster and Vicarious put the young band of university students on the region Celtic music map. From the Celtic fusion powerhouse “Don’t Be” to the Lord of the Rings / Hobbit inspired “Tolkien’s Fever,” the funk and pop riffs of “Just Kidding” to the New Age melancholy of “Escape,” Mythica weaves an intricate sonic tapestry using threads from the members’ various musical influences, with Melissa at the forefront with her distinctive, ranging voice. Through these albums, you will enjoy a rollercoaster ride through time and culture, where haunting meets hopeful, somber meets seductive, and where nostalgia meets the future. Featuring hammered dulcimer, mandolin, tin whistle, uilleann pipes, fiddle, guitar, keyboard, organ, and so much more, no two tracks on these albums sound even remotely the same – a testament to Melissa and Mythica’s versatility, fearlessness, and willingness to push the boundaries of Celtic, Folk, and World. 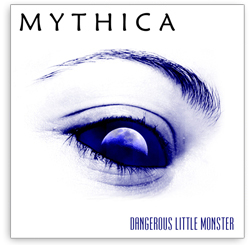 You will receive Mythica’s first two albums digitally in high-quality mp3 format, usable on most devices (iPod, smartphone, computer, etc.). Rates are in US dollar.